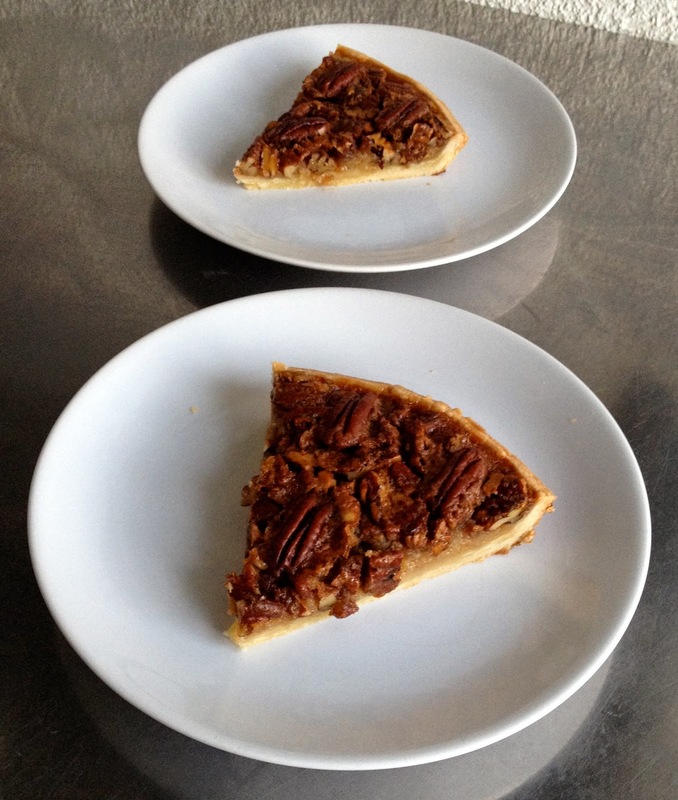 In a month it's Thanksgiving which means turkey, stuffing, pumpkin pie and also Maple Pecan Pie, which is what today's post is about. 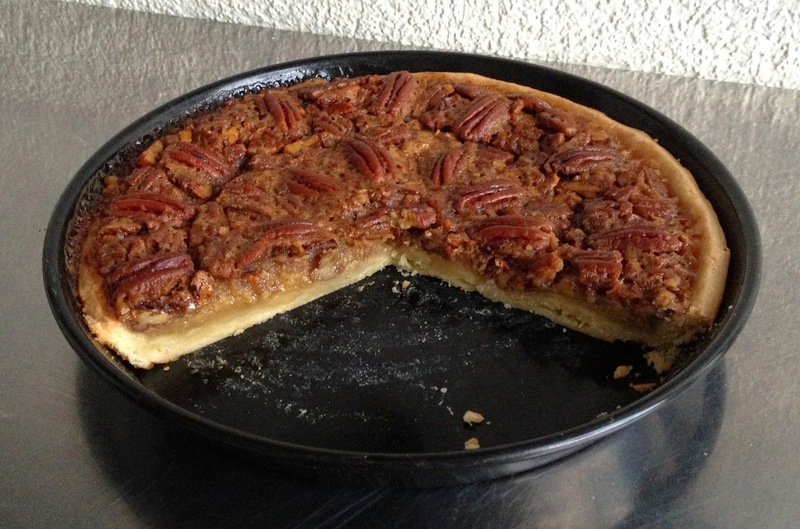 It is a dessert many Europeans do not know about and a typical dessert in North America composed of (guess what?) 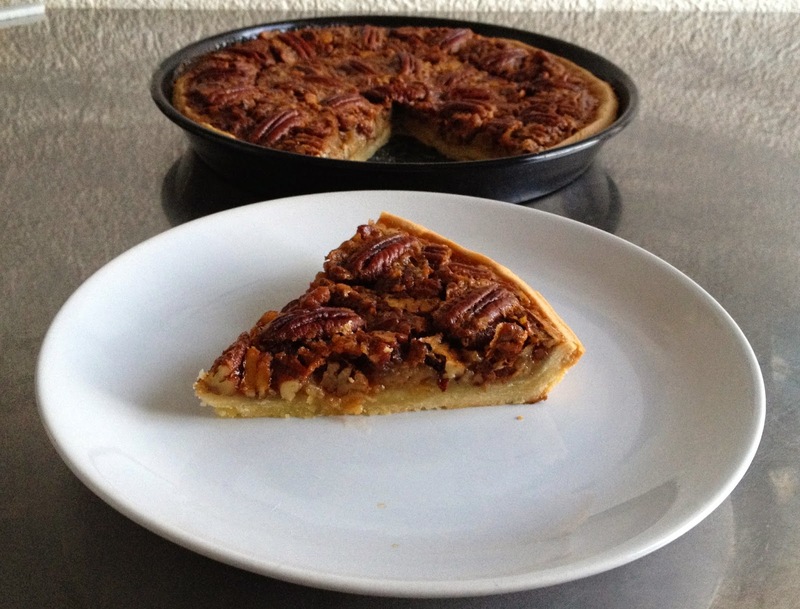 pecan nuts and maple syrup and that people eat all year round but also for Thanksgiving. 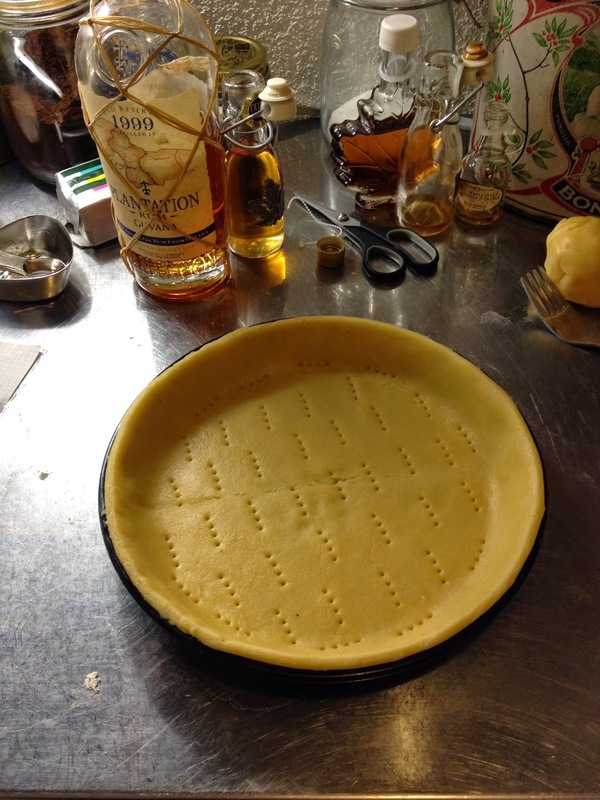 Prepare the dough (pâte sablée first). 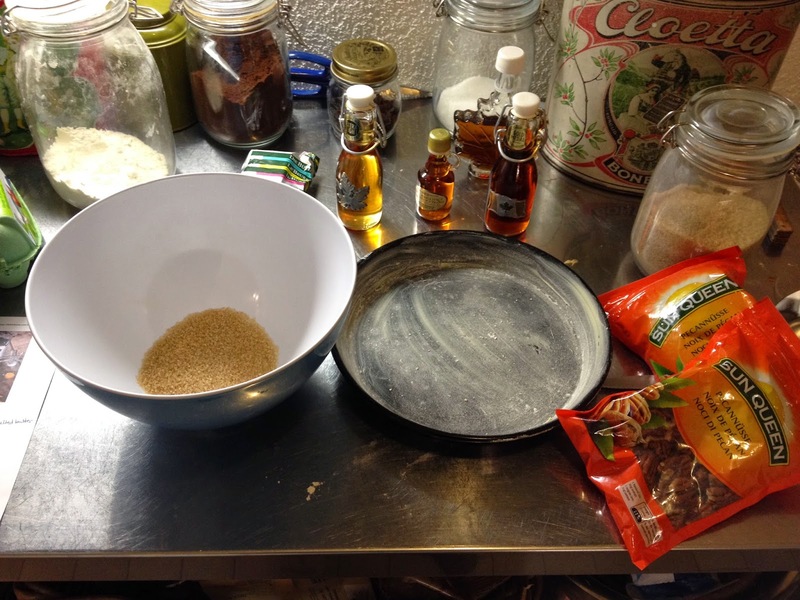 Mix sugar and flour first, then mix with cold butter by hand making crumbs. Add the beaten egg and milk and mix until forming a ball. Refrigerate for 1 hour at least. 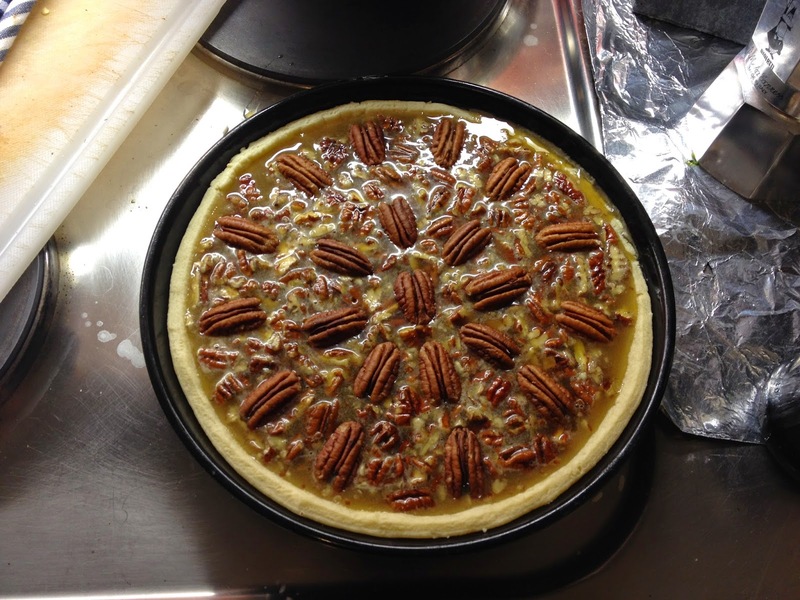 Roll out 3/4 of the dough on a floured table (approx 4 mm-thick) and transfer to a buttered + floured pie form. Prick the dough with a fork and pre-bake 10 min at 200C. Mix maple syrup, sugar, rum, butter, eggs and vanilla in a bowl. 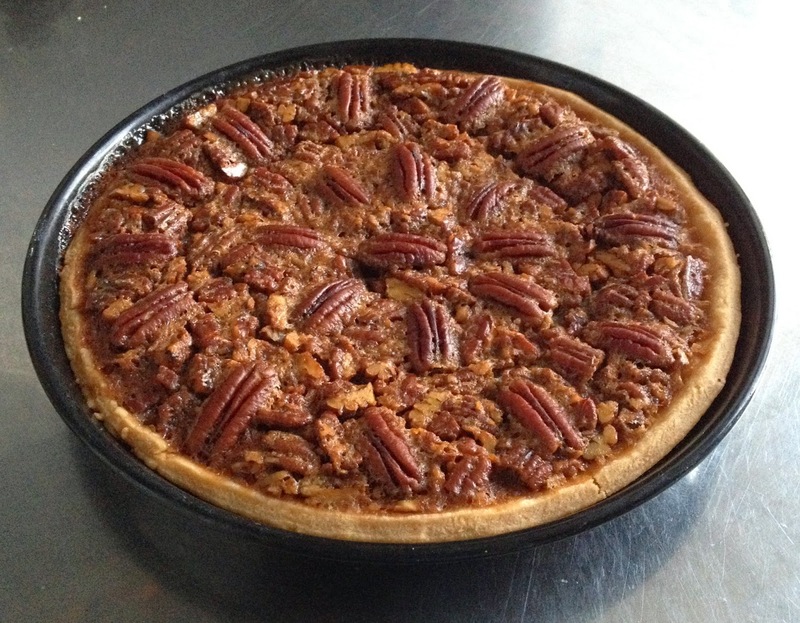 Add 2 dl lightly crushed/grossly chopped pecans to the batter and transfer it to the pre-baked pie crust. 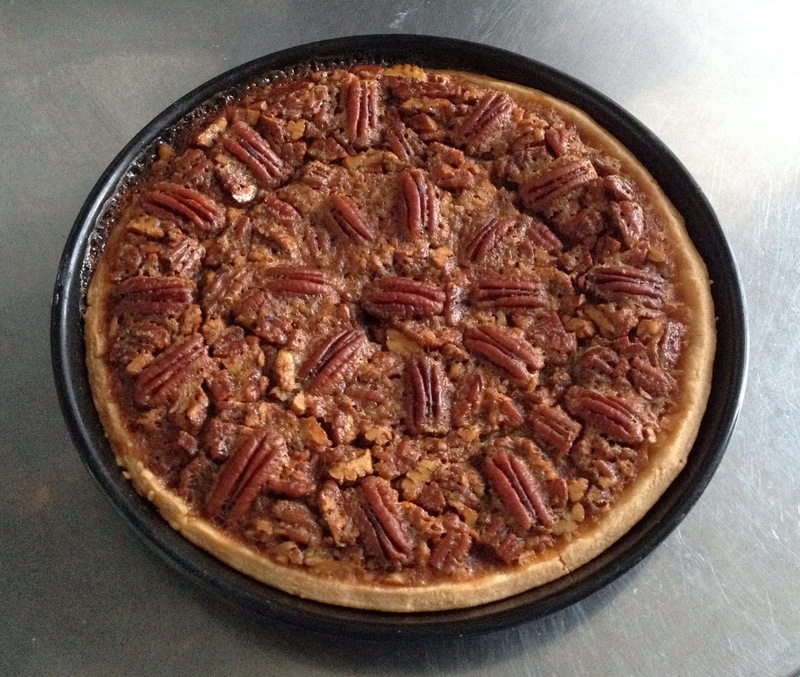 Decorate with the remaining whole pecan nuts. Bake in the oven at 175 C for about 40 min.